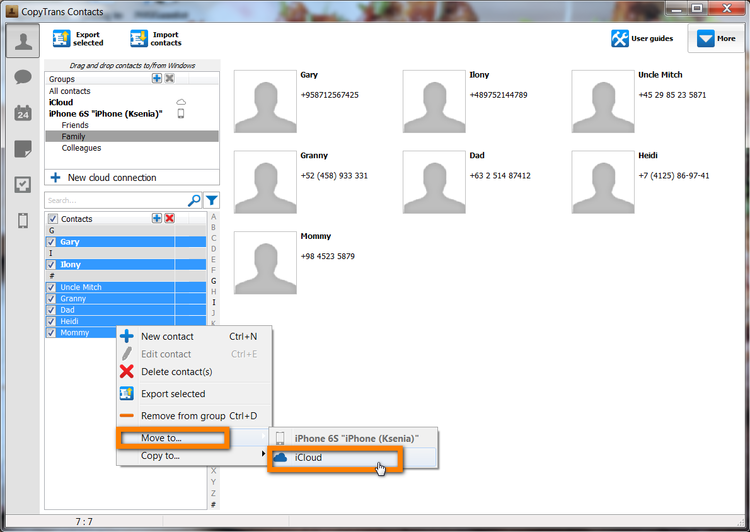 Home » How to transfer Outlook contacts to iCloud? Importing contacts from Outlook on PC to an iCloud account was until recently a complicated matter which involved syncing an iOS device to iTunes. Not any more: you can now use CopyTrans Contacts and after a few clicks transfer Outlook contacts to your iCloud account. 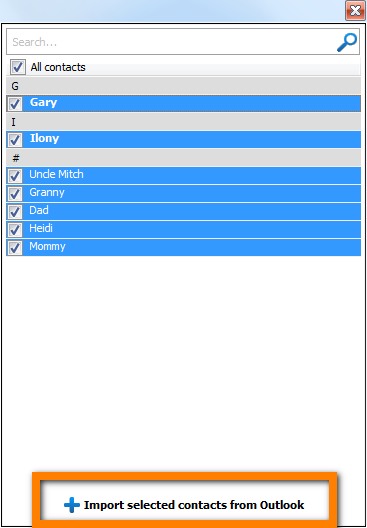 Transfer Outlook contacts to iCloud – how to proceed? Run CopyTrans Contacts, and connect your iOS device to the computer. 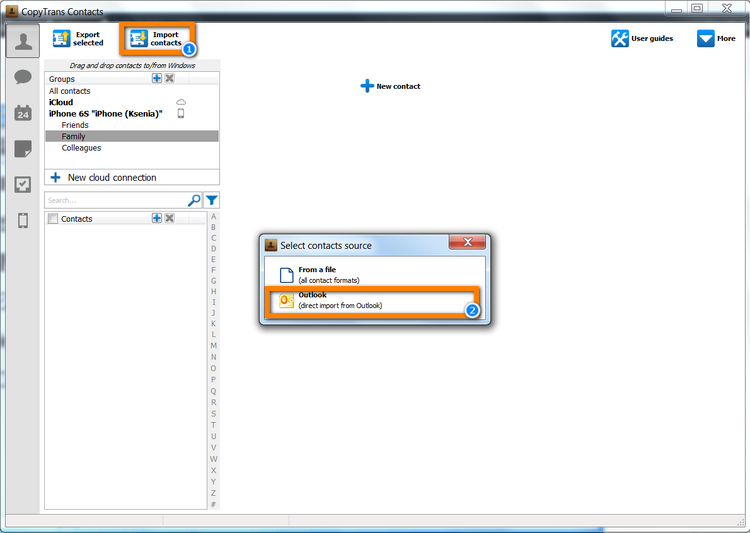 Click on the “Import contacts” button and then select “Outlook (direct import from Outlook)”. 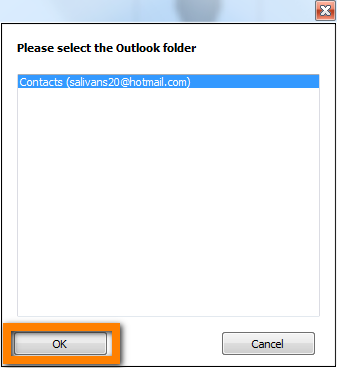 Choose the Outlook contact folder. This is the location from where to import the contacts. By default this folder is called “Contacts”. Choose the Outlook contacts you wish to transfer to iCloud. 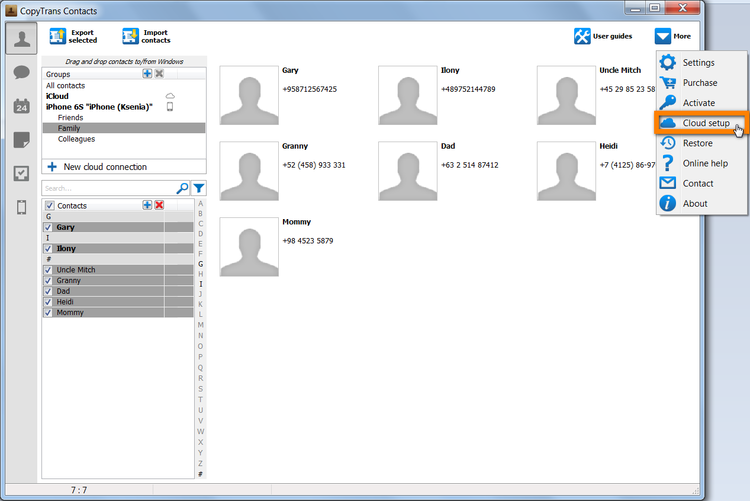 To select all contacts, check the box next to “All contacts” at the top. The Outlook contacts are now transferred to your iOS device. Next, connect your iCloud account to CopyTrans Contacts. 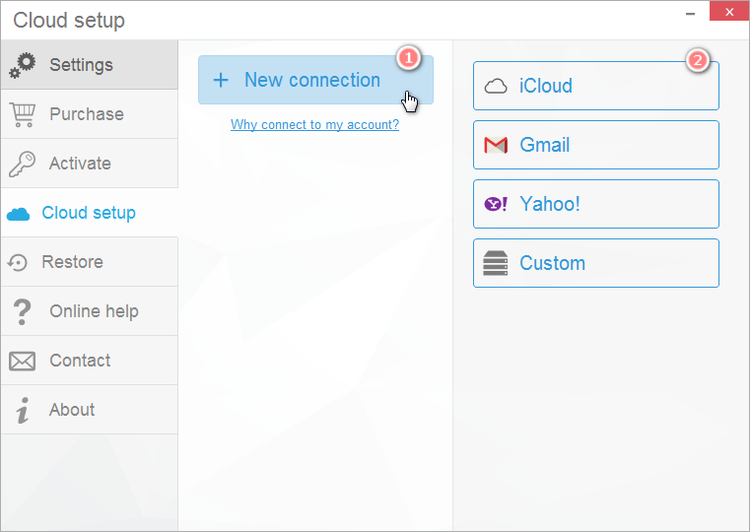 To do so click on the “More” button at the top right and choose “Cloud setup”. Click “+ New connection” and then choose “iCloud”. 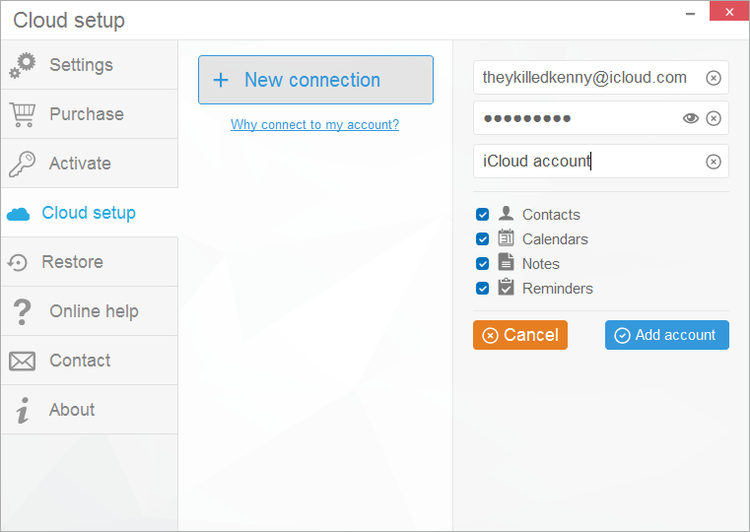 Enter your iCloud account credentials, make sure that the box next to “Contacts” is checked and click “Add account”. Allow Apple ID sign-in and recieve the code on your iOS device. 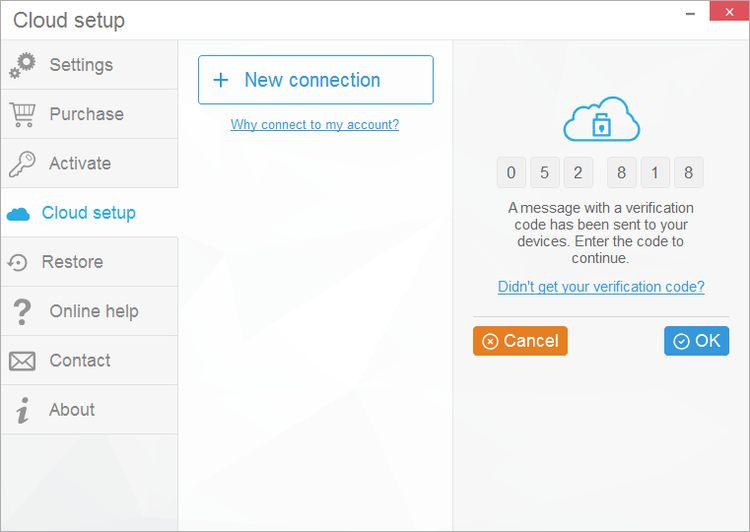 Enter the verification code and click OK.
Close the Cloud setup window and select the newly imported contacts. Right-click on the selection and choose “Move to… > iCloud”. This moves the newly-imported Outlook contacts from iOS device directly to your iCloud account next to any already existing contacts there. This is how easy it is to transfer Outlook contacts to iCloud.